This photograph taken in 2006 by Peter Hodge, show the rail track laid for carts pulled by ponies. It has a 19" guage. 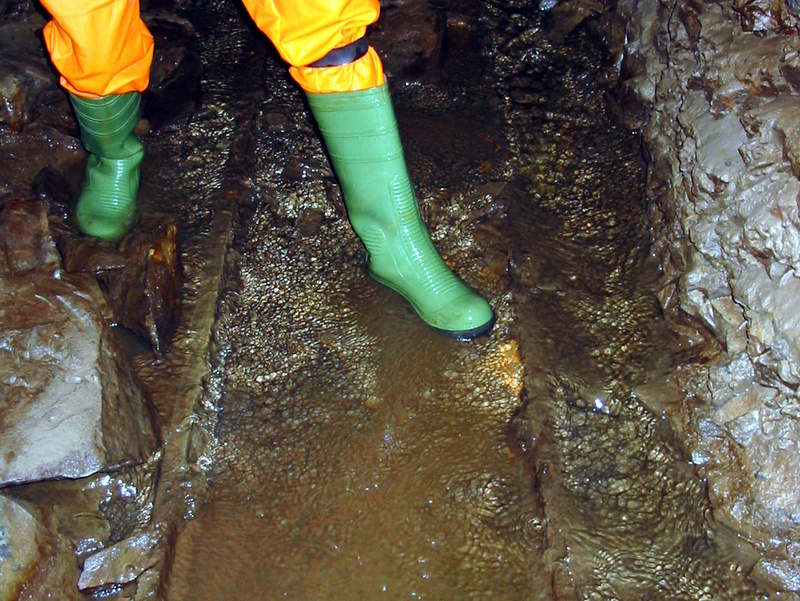 Much of the track is still in-situ in the level, but it is usually buried under silt. Click the photograph for a larger image.